What flavour parking policy do you like? "Sushi bar approach to parking policy" was the title the Straits Times editor gave my Op Ed on parking policy today. Sushi bar?! Read on for an explanation. Most of the piece discusses Singapore's parking issues. I think of urban parking policy as having three main "flavours". Let's call them American vanilla ice cream, European dark chocolate, and Japanese sushi bar. First, the American "vanilla ice cream" approach. It is simple and sweet but promotes overindulgence, the full cost of which emerges only later. This is the conventional suburban approach and it sees building more parking as the solution to every parking problem. Fearing too much pressure on the cheap (or free) on-street parking, every building is forced to include so much parking on-site that it is never full and it would be ludicrous to charge for it. This wastes money and space and promotes dependence on cars. Unfortunately, this approach is spreading around the world, even to cities where space is at a premium. Second, the European "dark chocolate" approach prioritises quality not quantity. But it is an acquired taste - too bitter for some. It can also be difficult to create in some political kitchens. Zurich is one of many examples, with parking policies that align with its pro-public transport, walking and cycling policies. Parking in the city centre is capped at the 1990 level, parking with buildings is limited, and surface parking is being gradually removed from public spaces. In Asia, Seoul is starting down this path. Third, a Japanese "sushi bar" approach caters to a variety of tastes and to various budgets. Here I am referring to market-responsive approaches. Enthusiasm in the West for this has been ignited by the research of University of California, Los Angeles professor Donald Shoup. Such thinking treats parking as a type of real estate that can be rented on a short-term basis, like hotel rooms and meeting halls. Part of this agenda involves easing the requirements for on-site parking with each building. Another part involves "performance pricing" to keep demand for on-street and public parking in balance. The "SFpark" trial in San Francisco is an ambitious example of this. Like Singapore's ERP, it uses prices to make sure public parking is never quite full, nor ever too empty. It is bringing pricier parking to popular places and times but cheaper or free parking to quieter times and places (often just around the corner). 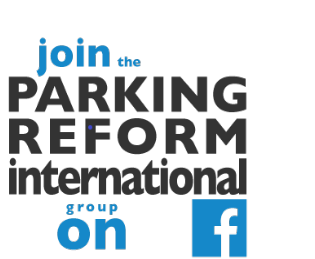 So why do I call market-responsive parking policy a Japanese approach? Because parking in Japan's large cities is mostly a market phenomenon. There is little legal on-street parking. The famous "proof-of-parking" law puts the onus for securing off-street residential parking onto the motorist, not the developer or government. Only large buildings are required to have on-site parking (and even then, not much). Nevertheless, the real estate market has generally responded adequately. Parking is provided mostly by the private sector at market prices which reflect real estate costs. So parking prices promote low car ownership and low use in the inner cities where public transport is best. Subscribers to the Straits Times can read the whole Op Ed here. I hope to be able to link to or post the full text later. So what flavour parking policy DO you like? Singapore parking policy in need of a rethink?